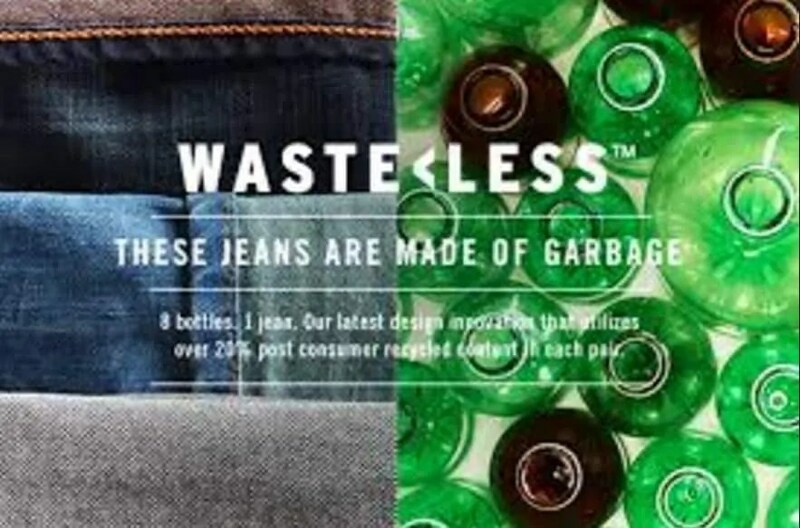 the clothing tag on a pair of Levi’s Waste<Less denims proudly proclaims, “These jeans are made of garbage” , yes you read it correct Levis is making a jeans out of waste plastics – “waste less jeans” . “It’s good for people and better for the planet,” said Jonathan Kirby, vice president of men’s design at Levis Strauss. How are these Waste less jeans jeans Made ? is collected from communities across the country and shipped to a manufacturing plant where it is broken down into tiny pellets and spun into polyester fibers. That polyester yarn is then woven with cotton into denim. The Waste Less jeans are thin and lightweight, darker than some other denim. The inside of the jeans also looks different. They’re not the typical blue and white. These are more brown and blue. Hoover points out that this does not decrease the plastic that’s being used to make new plastic bottles – environmentalists would like to see fewer of them used – but it does help keep some plastic waste out of landfills. “We don’t just want to reduce our impact on the environment, we want to leave it better than we found it,” said James Curleigh, global president of Levi’s brand in a statement. Clearly, Levi Strauss believes it can be a leader in eco-fashion. Vice president Jonatha n Kirby told me he’s looking into a number of different sustainable clothing options for next year.